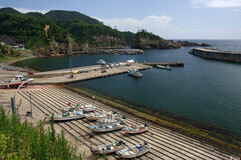 "Hinomisaki" is a wonderful scenic spot in Izumo. 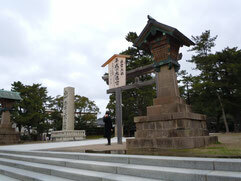 The solemn shrine founded in ancient days (B.C.) is near this cape. 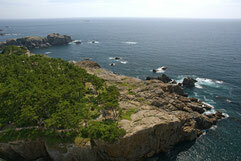 And the ruins of an ancient shrine are located also to the seabed. 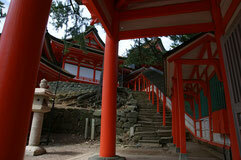 There is a legend of God (SUSANOO) which planted trees in land of Japan first. If you visit this cape, you will be able to see the beautiful setting sun, taking a walk in the wonderful forest where the sea can be seen. This healing power is very great. 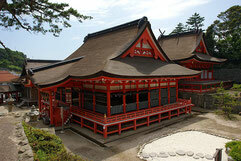 Izumo Shrine（Izumo Taisha Grand Shrine） has the Japanese garden with very fresh air. And the shrine is always aiding "people's wonderful encounter (matchmaking)." 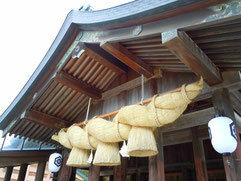 The big lanyard in shrine pavilions gives us the energy which strengthens our various decisions more. 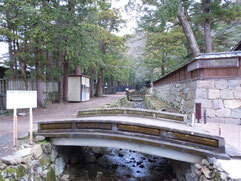 When you visit Izumo Shrine, you are good to walk, while breathing calmly. Then, you could take in wonderful energy.